Manville Rubber Products was founded in 1969 as a developer of custom molded rubber components to the aerospace industry. The exacting requirements of the aerospace industry fostered in MRP a total dedication to quality, efficiency and attention to detail. This commitment still drives us today as we continuously work to improve all aspects of our business...from our products and processes, to our customer service and support, to the ways we conduct business itself. 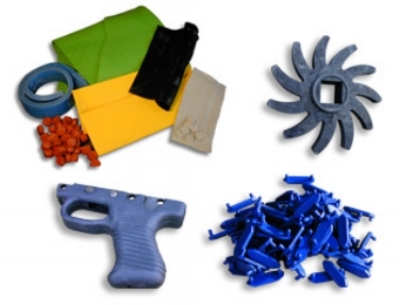 And we have grown to serve virtually all modern industries with core capabilities now encompassing injection molding, transfer molding, compression molding, very large moldings, rubber covered rollers, liquid casting and die cutting. With an extremely broad range of production equipment, capabilities and technical expertise Manville Rubber Products is ready to serve as your world class contract developer for all of your custom rubber component needs.